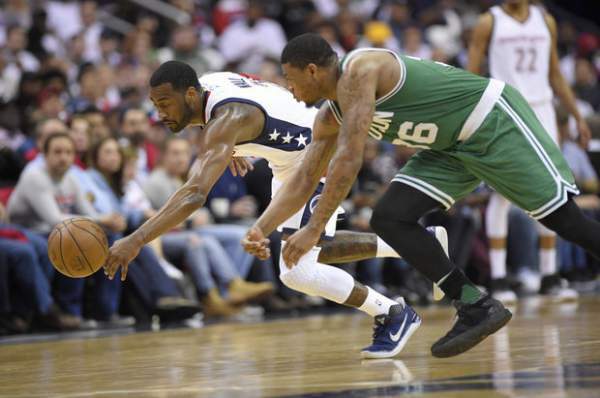 Celtics vs Wizards NBA Live Stream: It’s the 5th game of NBA playoffs 2017 between the two teams – Boston Celtics and Washington Wizards. It will start at 8 pm ET on 5/10/2017. BC is playing at their home this time. Celtics guard Avery Bradley got injured in Game4 as he suffered a left hip pointer and he had already been slowed by a right hip pointer in Game2. However, Stevens has hopes that he would return for Game5. The Wizards are going to feel the pressure in this match. It was the 4th match with an absurd third quarter in which Wizards made 26-0 and evened the series with the Celtics on Sunday. The playoffs have now reached to Boston for the next match. Below is the complete information which you will need for Game 5 between Boston and Washington. The winner of the tonight’s match will advance one step closer to its victory and reach the Eastern Conference Finals. As per the past statistics, the Game5 winner advances 88% of the time. It seems to bet on the home side. It is going to be a swing time.